Our warm and welcoming staff possess the knowledge, skill, and experience necessary to guarantee a top-notch dental experience. We make sure to provide nothing but the best dental care for all procedures from checkups to dental surgeries and everything in between. A healthy smile goes beyond what is achieved in the dental chair, which is why we educate all of our patients on the best oral health care routines and practices. A healthy and beautiful smile requires a wide-range of dental services. But don’t worry, we provide them all. Saving a tooth is of the utmost importance to a dentist. Tooth extraction is rather a last resort to help maintain good oral hygiene. When tooth extraction is necessary, it means a dentist has taken all the measures they can to protect you from further damage but must remove existing issues to prevent further harm. "Dr. Martinez is a true professional who cares about her patients. Dr Martinez is always available at her practice, checking on her patients, talking to them and answering questions." 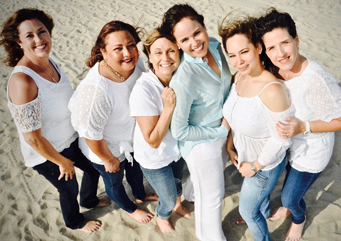 "I can't be in better hands than the team with Dr. Erika Martinez. Dr. Erika thank you for changing my life and smile. I will thank you for ever!" "Mi equipo de profesionales favoritos!!!! Estoy mas que complacida con los servicios profesionales que ma han brindado la Dra. Martinez y su excelente equipo de trabajo. Confianza, seguridad y excelencia. La recomiendo!!!!"